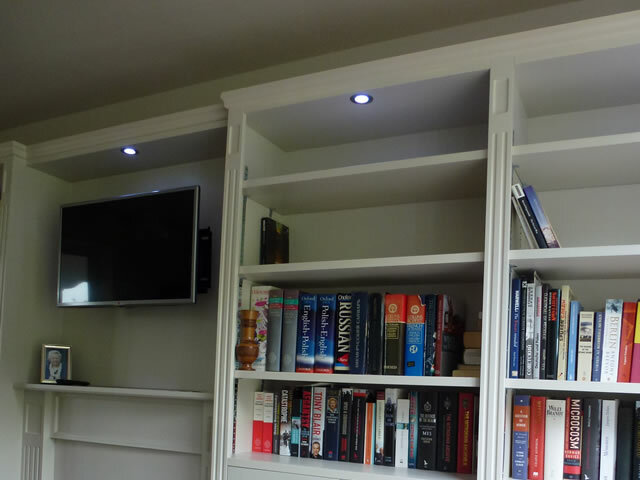 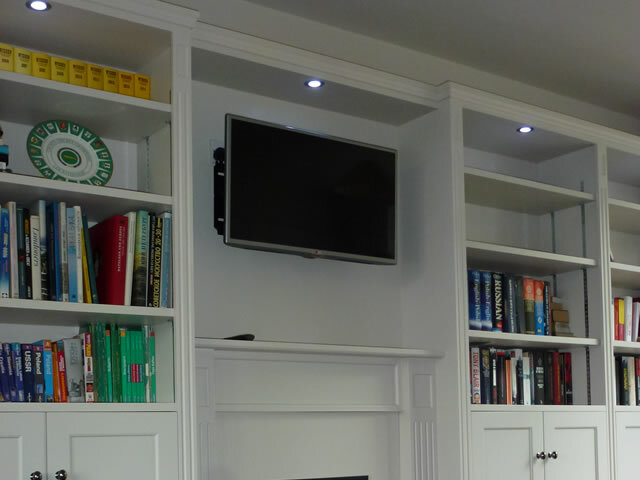 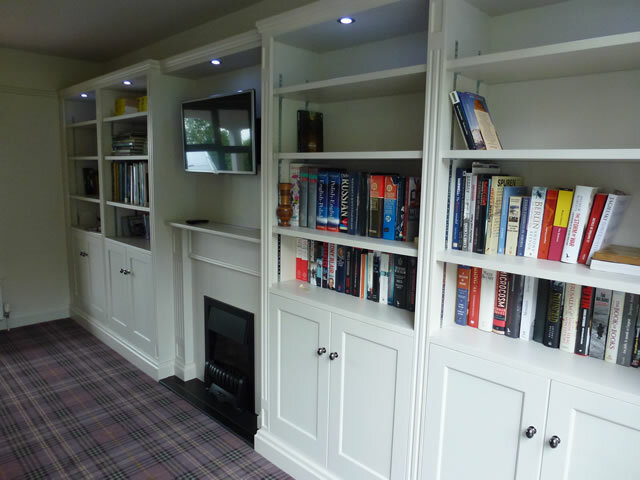 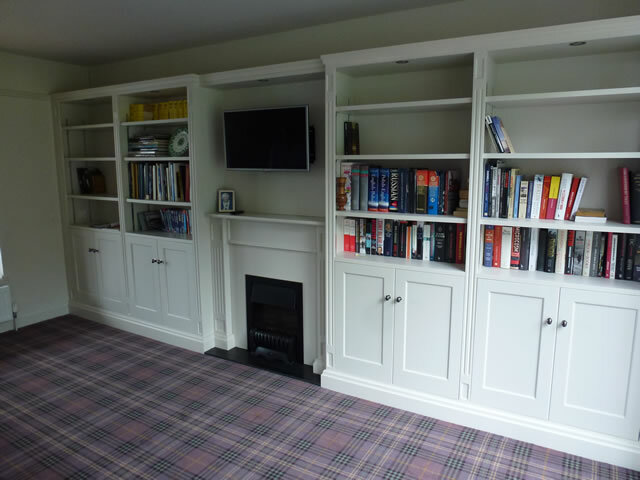 The furniture commission project was to make and install a painted oak bookcase either side of an integrated fire place. 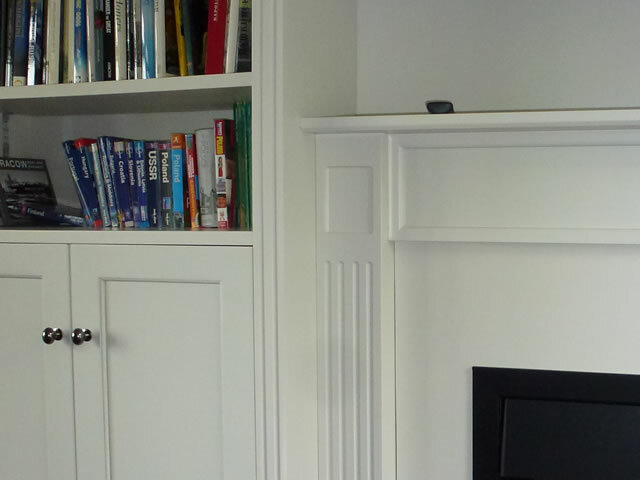 The white painted bookcases had panelled doors with fluted moulded columns and mould cornice skirting. 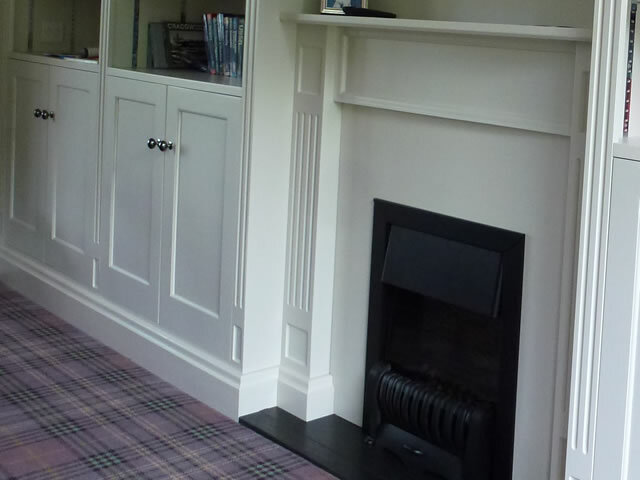 The central fire surround had an open fire with a granite hearth which was installed with a SMART TV audio system positioned above the fireplace. 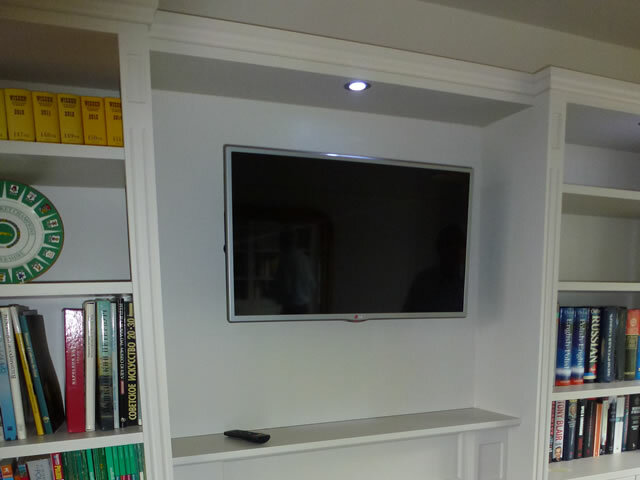 "Thank you Paul for a fabulous piece of fitted furniture that you have installed in my house. 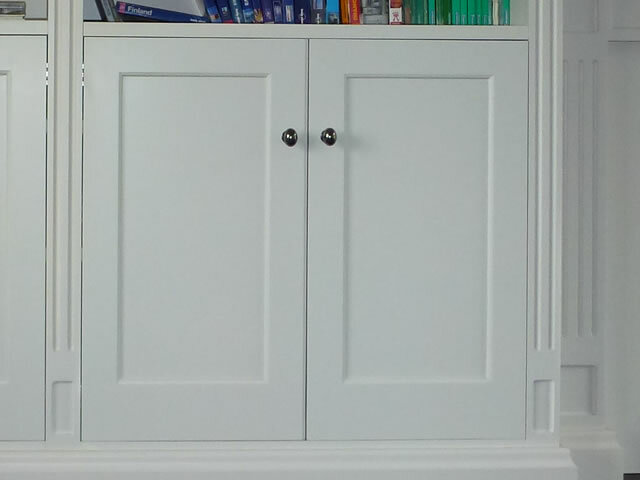 Delivering and fitting within my time frame. 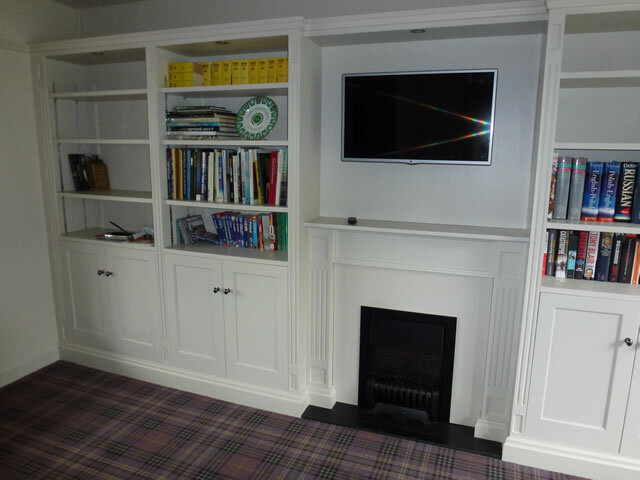 Great project management with fitting the fire and smart TV audio unit. 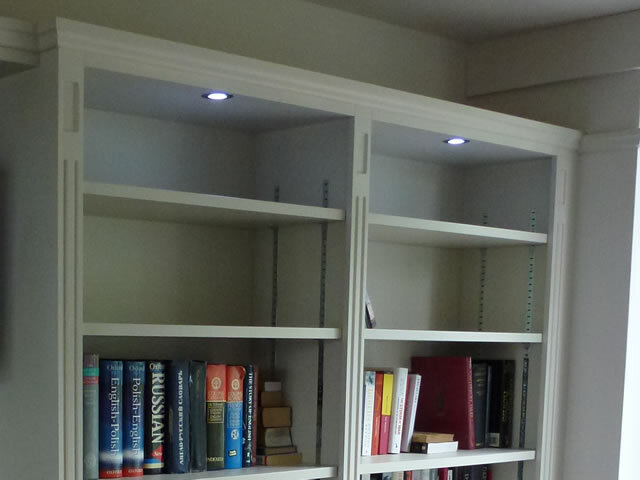 Once again, many thanks"